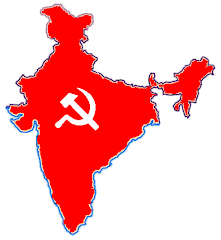 The “winds of change,” as described by the Trinamool Congress leadership, the first breath of which was felt in West Bengal three years ago, have finally swept from power the Communist Party of India (Marxist)-led Left Front government, which ruled the State for a historic 34 years. With the announcement of the Assembly election results on Friday, the red citadel has fallen. The Left Front's much hoped-for turnaround, since it had been stung by the first of a string of reversals that began with the local bodies polls in May 2008, did not materialise. In a poll which in popular discourse was described as a contest between paribartan (change) and pratyabartan (resurgence), it is the former that has prevailed. True, it was the toughest election fought in the State in recent history. Not only was a Left Front, bruised by the electoral defeats suffered over the past three years, facing the combined might of the Trinamool and the Congress, though not for the first time, the CPI(M) in particular was up against enemies within — ones who saw the party as a route to self-aggrandisement. The “rectification” process that has been initiated within the party is an on-going exercise that cannot afford any time schedules — and certainly not the just concluded Assembly elections. And then there was the debate over acquisition of farmland for industry which undoubtedly became a potent issue only to redefine political priorities. There might have been “lessons learnt” from the developments at Nandigram and Singur but by then the Trinamool had extracted the maximum mileage out of them. That the Left Front had to cope with a Trinamool leadership that made it a matter of policy not to “co-operate” with it in attempts to arrive at any sort of consensus — whether on land acquisition, to restore peace in an area troubled by violence and on matters of development — could not have made things any smoother for it, particularly when it came to governance. Ironically, these various stances adopted by the Trinamool, governed by party chief Mamata Banerjee's fine-tuned one-point agenda of ousting the Left Front, might have added to her popularity and enhanced her acceptance by the people. For, it was her, rather than the party nominee in the fray, whom they voted for, every other leader of the Trinamool admits. What should be particularly worrying for the Left as it goes about “taking corrective measures and making sustained efforts to regain the confidence of the people” is that it has suffered defeats at the hands of the Trinamool in places where it stood its ground even in the worst of times earlier. But then, it has never been as bad as now. Little remains of the Left bastions, wherever they were.